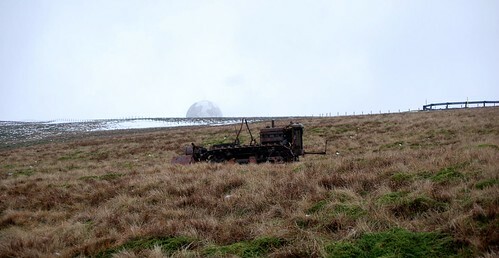 Remains of an International BTD Crawler lying on Throw Rig (620m altitude), just below the summit of Lowther Hill. An endless rope operated by the tractor powered wrench was used as a skilift in the 1960s. 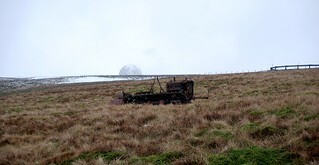 Photo taken in March 2010.